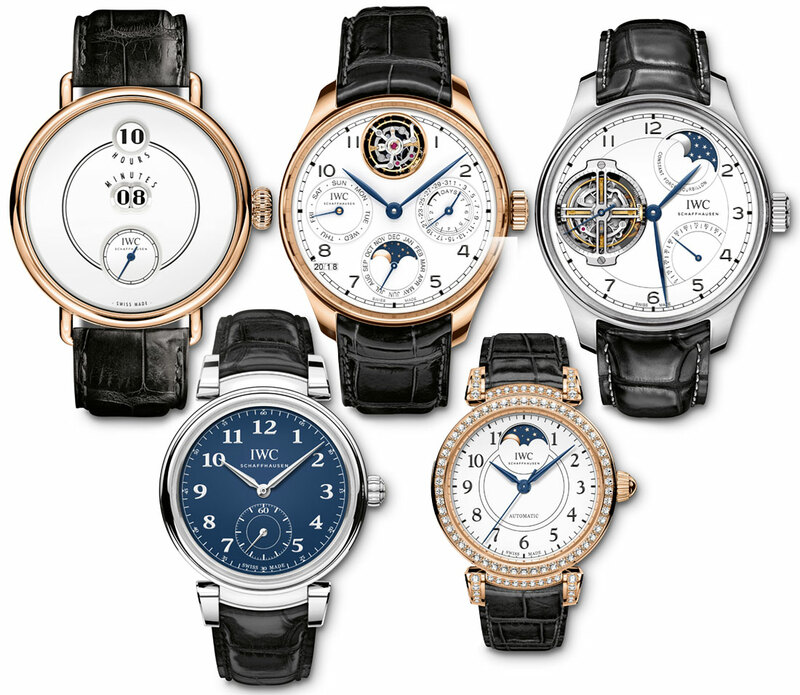 Founded in 1868, IWC prepares to celebrate its 150-year history in 2018 with five limited models from different collections, and the IWC Da Vinci Automatic Edition “150 Years” watch is the most accessible among them. Aside from the “150 Years” in the names, all share the lacquered dial with printed numerals – all white except the Da Vinci Automatic you see here in blue. This is not simply a “small-seconds” version of last year’s three-hand Da Vinci Automatic (hands-on here), as it represents an in-house movement option with a new member of IWC’s 80000 family of movements. The Da Vinci has gone through a number of redesigns since it was introduced in 1969, housing the first Swiss quartz movement, the Beta 21. 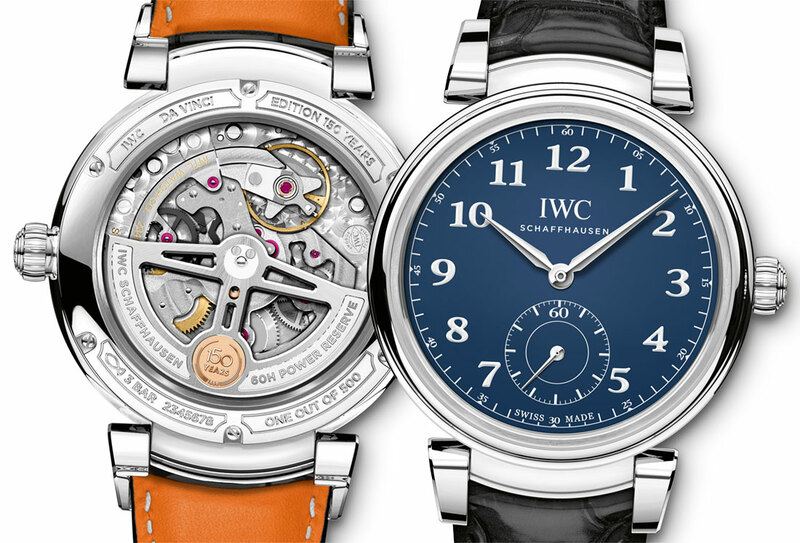 IWC reimagined the Da Vinci collection last year to re-introduce a round Da Vinci case shape with prominent articulating lugs. 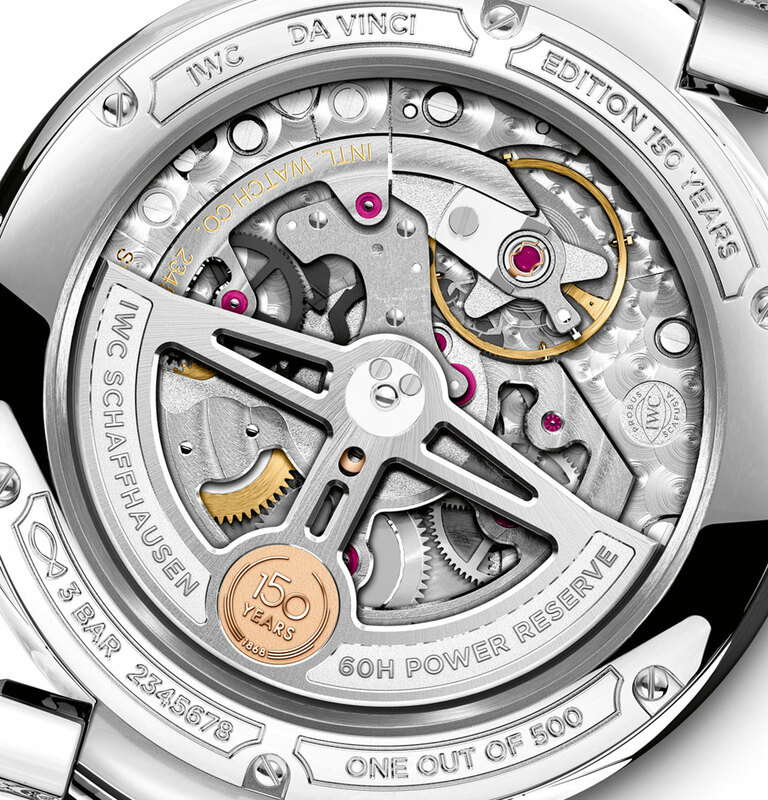 One thing I can say for the new Da Vinci watches is that articulating lugs are usually something I appreciate, but – and maybe it’s just me – it seems like the dressy, restrained character of the round Da Vinci is already pretty well represented at IWC by the Portofino and Portugieser collections. 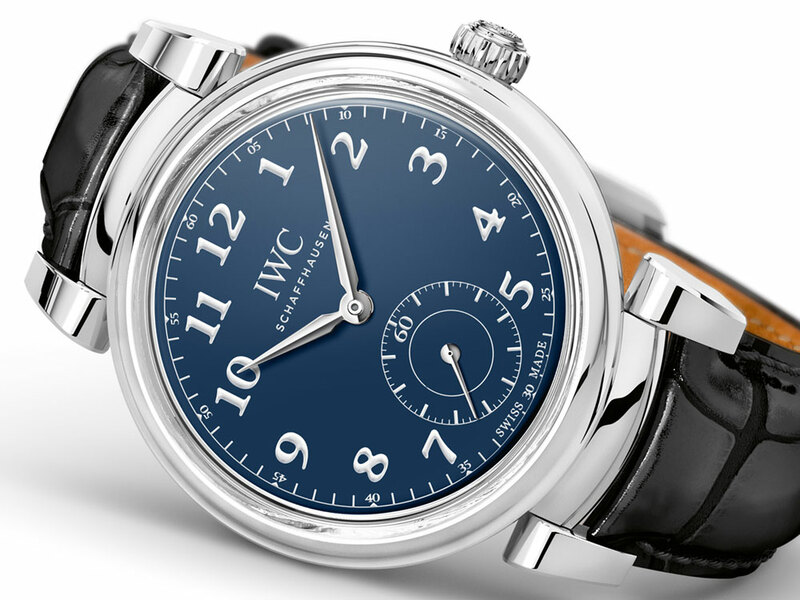 The IWC Da Vinci Automatic Edition “150 Years” is 40.4mm wide and 12.1mm thick in a steel case, with a water-resistance of 30m – even though it’s clearly not a sport watch, something designed as a daily wear like this could have perhaps had a bit better water-resistance rating as a promise of general durability. The brand tells us that the dials are created with “up to 12 layers” of lacquer, flat-polished and brushed, and then printed several times. 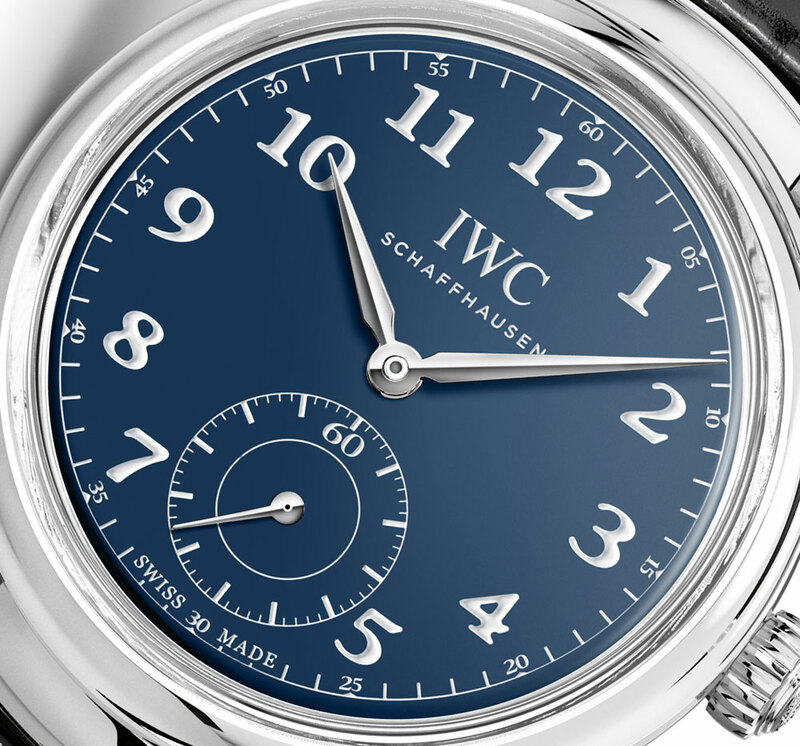 The hands are rhodium-plated, and date-haters will not have that to complain about here, as IWC has chosen to omit a date display. 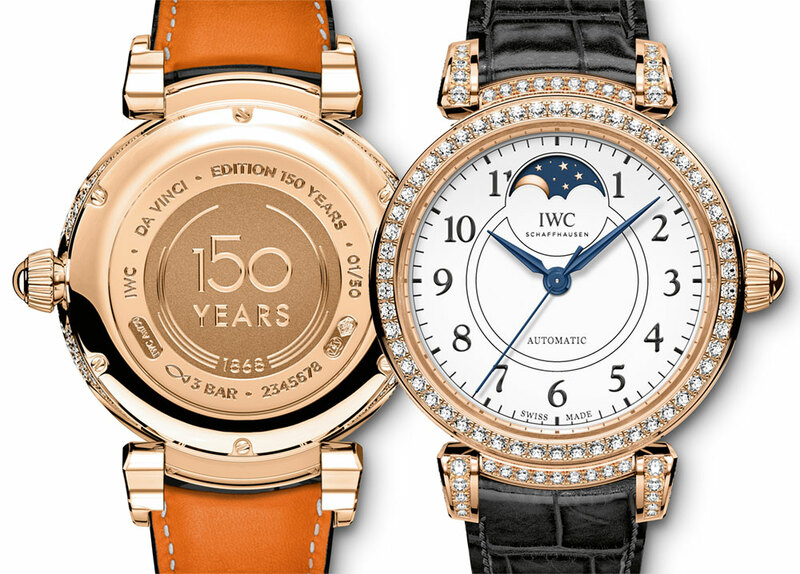 Alongside the IWC Da Vinci Automatic Edition “150 Years” is another Da Vinci for ladies, the Da Vinci Automatic Moon Phase 36 Edition “150 Years” (Ref. IW459304) that has a 36mm (of course) 18k red gold case and 206 diamonds with a price of $29,900. It’s powered by the IWC “35800” movement that is a Sellita SW300-1 base with a moon phase display at 12 o’clock, operating at 4Hz with 42 hours of power reserve. 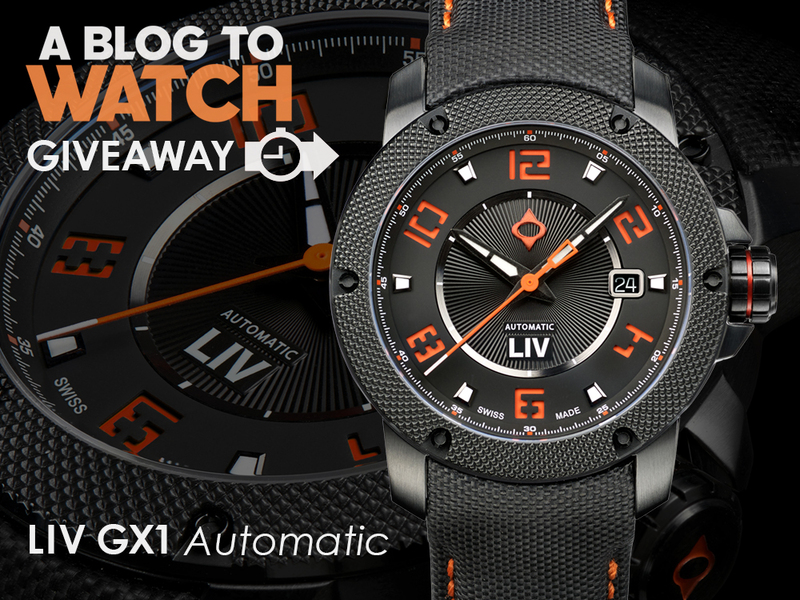 It’s a fine looking timepiece but i can’t see anything to get exited about here. Maybe if i have some ice-cream my opinion might change. 12 mm thick… thicker than Bambino…and $9400 more expensive. Why? Because it has no date! And you say BR are overpriced. How about same Sellita for $$10-30k? 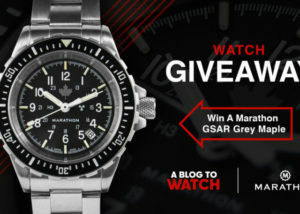 IWC continues to be a sick joke. 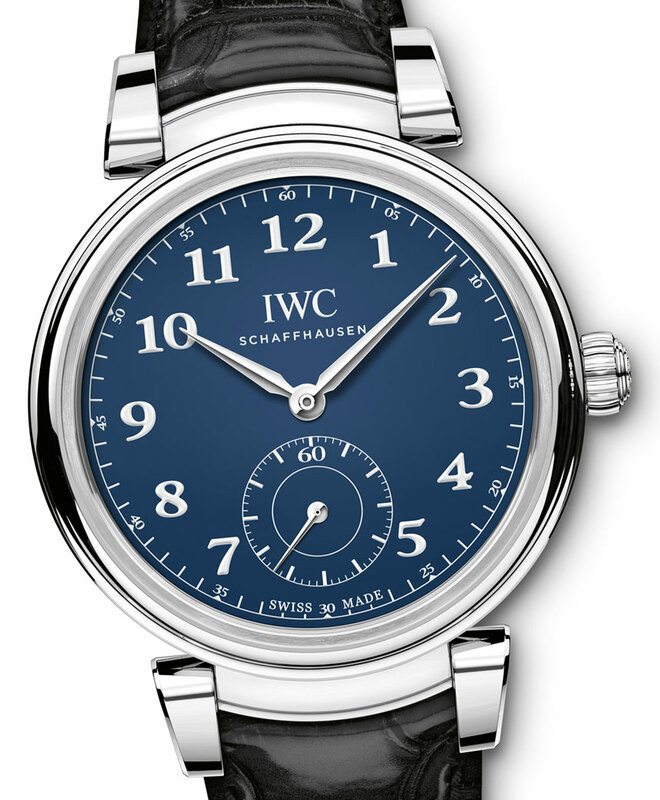 $29,900 for an 18K rose gold IWC with a “35800” movement that is a Sellita SW300-1 base. Sorry but the lugs are hideous! 10 grand for the in house movement model is high especially considering such ugly lugs . Movement looks nice though very industrial type finish.